According to the Centers for Disease Control of Prevention (CDC) 20 percent of kids below the age of 15 were the victims of fatal car accident as pedestrians. However, children cannot be named as a party in a lawsuit, someone must stand in as their representative beyond an attorney representation. A driver who has injured a child who was a pedestrian will be held to different standard of care than in adult pedestrian car accidents. Because children do not owe a duty of care to others, drivers need to exercise heightened care around children. This holds up regardless of road conditions or the weather. This is because children are unpredictable and not yet knowledgeable in the dangers of the world of which to avoid. So the heightened duty of care would arise anywhere where it is likely a driver would cross paths with a child. This means that even if the driver was following all the rules of the road to the “T” and still injures a child, he or she could still be liable. It isn’t about just following the rules of the road, but making sure the driver implements them with caution. 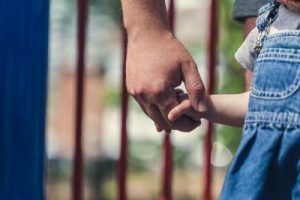 If you child was injured while on the street, sidewalk or park by a vehicle you can represent the child’s interest in a Massachusetts personal injury lawsuit with the help of the attorneys of the Law Offices of Jeffrey S. Glassman. Please contact us today at (617) 367-2900 to tell us your story today.